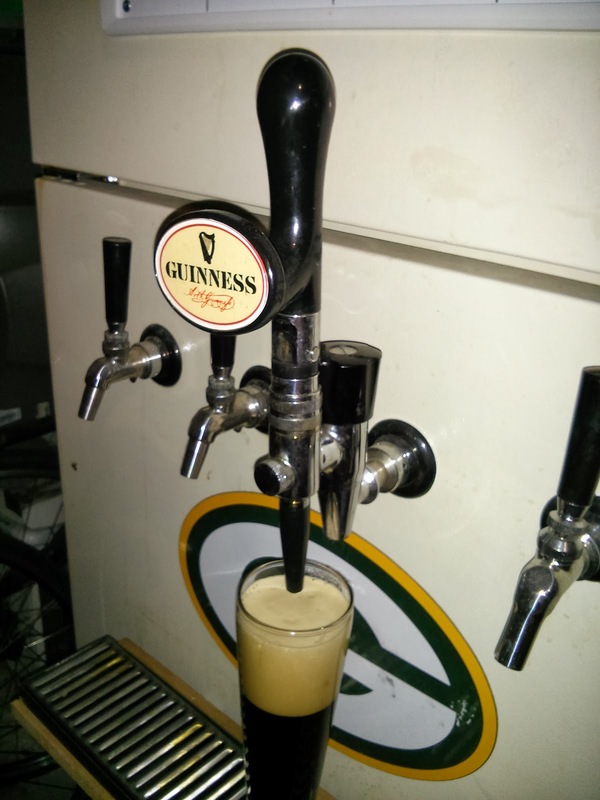 My nitro tap had the same keg of stout on it since July. 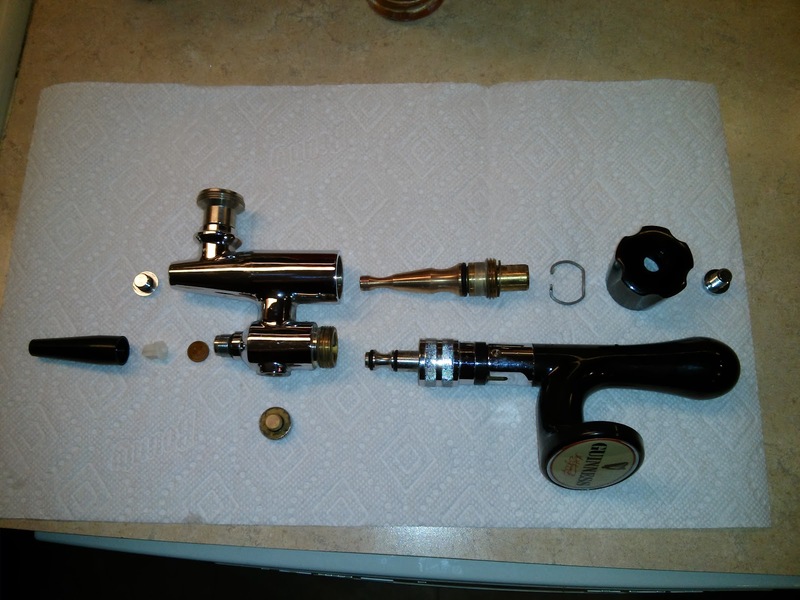 It was getting sticky, and since the keg blew last night, I thought it was time to take the tap apart and clean it. This isn't your ordinary tap, not even an ordinary nitro tap. That extra knob on the back is awesome, it lets me adjust the flow, and works really well for filling bottles and growlers when the aerator disk is removed. There ae quite a few pieces and quite a few o-rings. It really wasn't that dirty on the inside, some build up here and there where you'd expect. It's pretty easy to clean. I lubed all the o-rings while I had it apart, and took this picture so I'd remember in the future how it goes back together. After I got it all cleaned and reassembled, I put a keg of 'End of the World' on tap.